The freight train’s pulling from the yard. “Safe trip!” calls the station master. Chugga chugga, the train rolls faster. 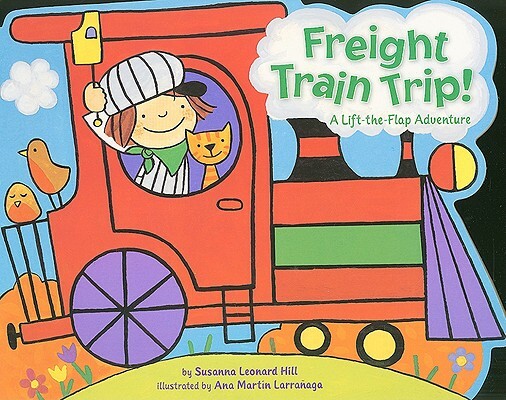 Susanna Leonard Hill's rhythmic text and Ana Martin Larranaga's simple but enticing art will take young readers on an adventurous freight train trip! Kids can lift the10 flaps throughout the book to make their reading experience more fun! This interactive book that's shaped like a freight train is perfect for young children who are going on a train for the first--or the one-hundredth--time!